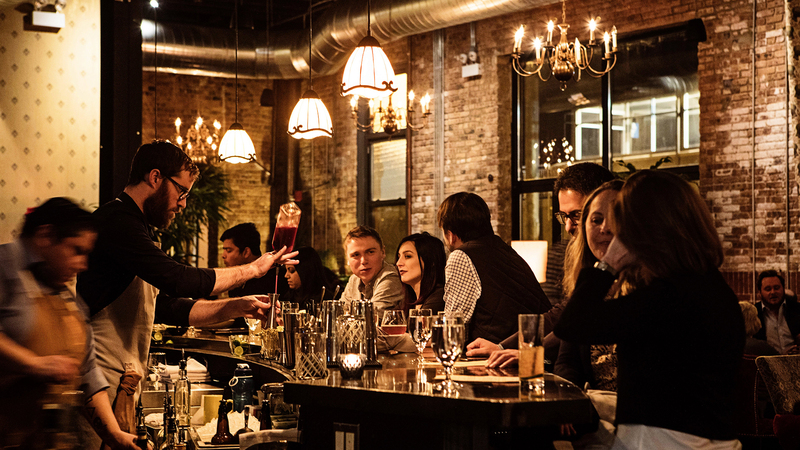 Chicago is fast emerging as a bonafide craft beer hub. Already home to some 150 breweries, each week seemingly brings news of another craft brewery or tasting room opening its doors in the Windy City. In such an overwhelmingly varied beer-scape, one way to separate the good from the outstanding is through the food. (Plus, it’s best to sample multiple brews on a full stomach, right?). 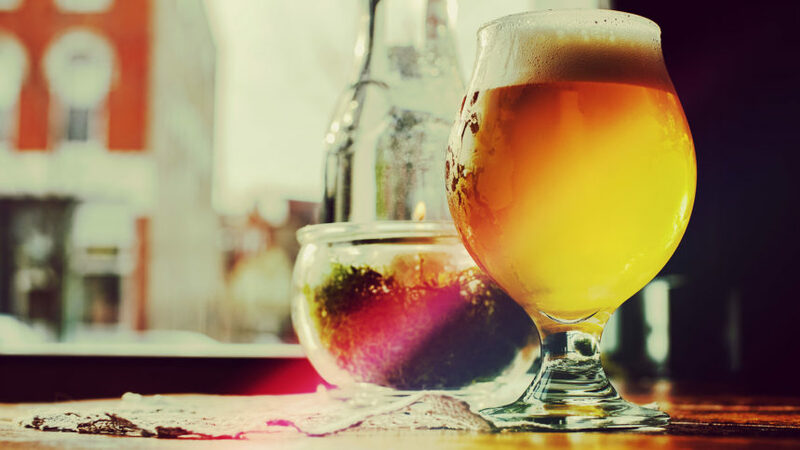 Inside a ten-mile range of the Ambassador, we’ve rounded up five of our favorite brewpubs—a mix of compelling newcomers and beloved standbys—all with killer eats to match draft pours that range from sessionable to smoky to sour. Cheers! This rustic brick-front microbrewery from upstart brewers Frank Costanzo and Nancy Rockwell is the latest in a string of exciting beer-centric openings for this Near South Side hood. Alulu pours 11 oft-changing, house-made brews, each cleverly named for different sci-fi and fantasy genres. They’re known for porters and stouts (we love the Provender Cave coffee stout), but as the temps cool down, we’re loving the autumnally bready English brown ale, Crystal Keep. Foodwise, Jeff Hedin (Leopold) traffics in eclectic, globally inspired pub fare, from Ruskie pierogi and mussels and frites to charred house-made sausages. Quintessentially crisp-chewy, New Haven-style red and white pies are the engine behind this incessantly popular pizzeria—a longtime fave of many of the city’s best-known chefs. 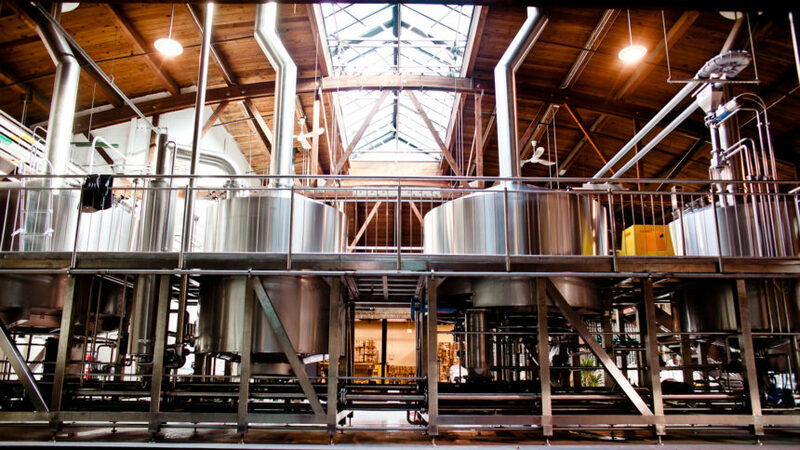 But you’d be remiss to overlook the award-winning brews flowing from the seven-barrel brewhouse on site. 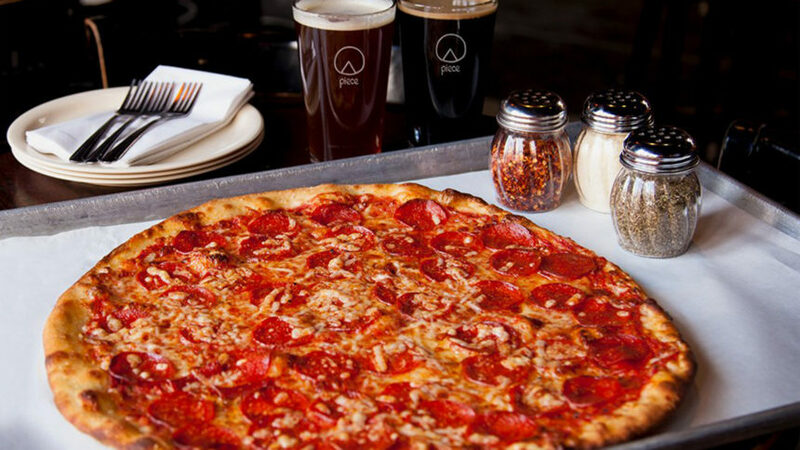 The Weight is a crisp, light American pale ale with a wheat backbone—an ideal match for pizza, in particular the clam- and bacon-topped white pizza. Insider tip: Piece doesn’t take reservations and gets quite packed at peak times, so go early. 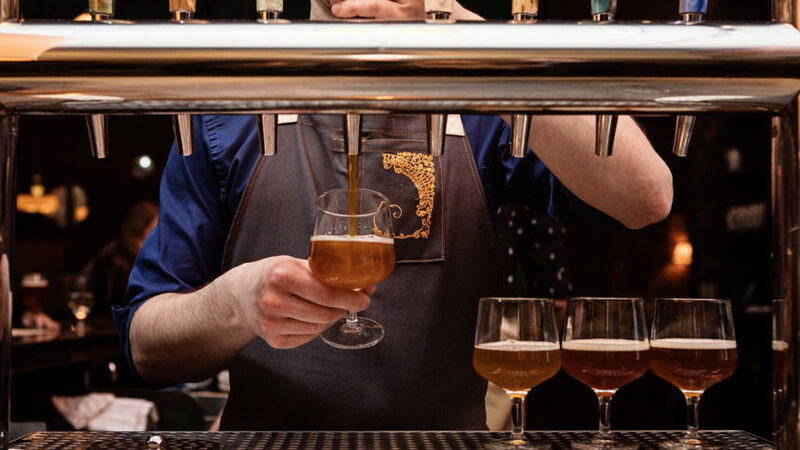 The nation’s first brewpub to attain a Michelin star, this stunning Northside spot uplifts craft beer to the pairing status of wine with rotating fine-dining dishes and culinary brews to match. Think earthy maitake basmati brown ale, and keffir lime- and roasted grape-infused India pale ale. A dizzying array of refined small and large plates include beet-cured butterfish in tangy almond and sorrel gazpacho and pork chop with wood-roasted sweet potatoes. The sprawling space inside a repurposed brick building unfolds into multiple inviting seating areas: a plush lounge, curved bar, and roomy dining room lined with cozy, high-backed booths. Insider tip: Save room for pastry chef George Kovach’s whimsical desserts, like a dark chocolate-coated foie-sicle and fermented banana cheesecake. One of the city’s most beloved breweries, North Center-based Half Acre opened its long-awaited taproom and beer garden this fall as part of its expansion to a second, larger production facility in Bowmanville. Spanning 60,000 square feet of interior space (with additional seating in the outdoor beer garden), the taproom’s focal point is a massive wood trellis, built in an on-site wood shop. From the 17-strong draft brew lineup, our new-ish fave is the Tuna extra pale ale—full-bodied despite being below 5% ABV, with mouthwatering peach and guava notes. Balmoral’s food leans more upscale than the burrito-centric Lincoln Ave. menu, with offerings spanning warm salt cod brandade, a porchetta sandwich with turmeric pickles, and slow-roasted harissa salmon. The long-awaited tasting room at brewmaster Jared Rouben’s chef-driven brewery pours unusual house beers alongside just two decadent food offerings: raw oysters and chocolate cake. Anchored by a 25-seat marble bar, the airy room breaks out multiple experiences: alcoved brown leather booths, beer hall-style four-top tables, and a lounge with vintage leather chairs surrounding a white-washed brick fireplace. Twelve taps pour rotating barrel-aged beers plus perennially available Caramelized Chocolate Churro Baltic porter, Sliced Nectarine IPA, Steeped Emperor’s Lemon saison, and Applewood gold. Hungry? 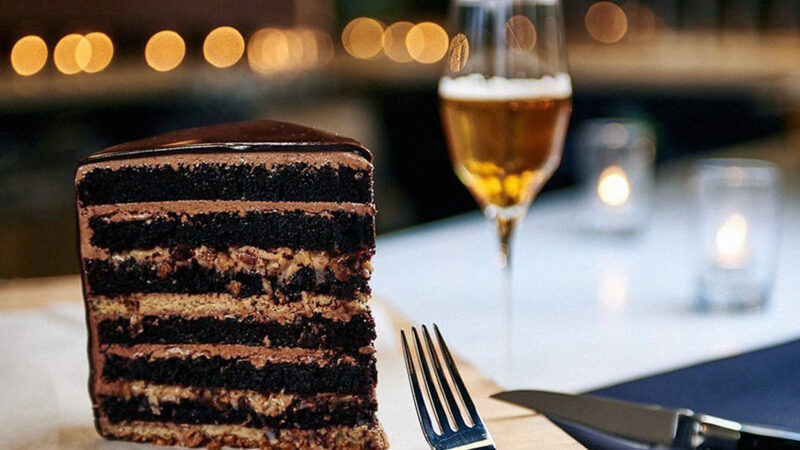 There’s oysters on the half shell or a towering slab of 12-layer German chocolate cake. Our pairing pick for briny oysters is the lemony saison, and the lightly smoky Applewood Gold for the rich-yet-balanced cake. Insider tip: The tasting room’s brewer’s library, donated by Chicago’s Siebel Institute, is one of the nation’s largest.